That was quick! 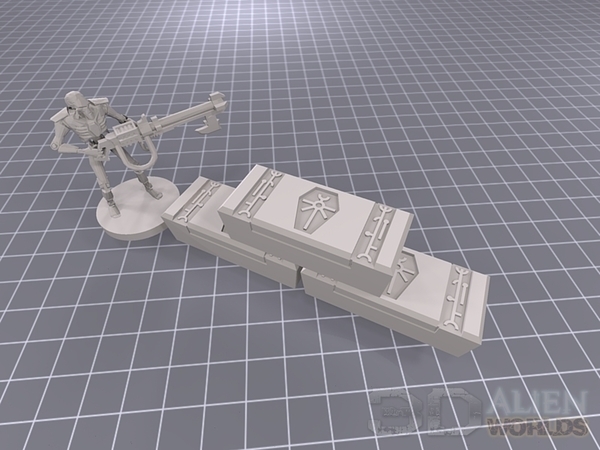 All the scatter terrain for the new Necrontyr KillTeam Arena Set printed without problem, except a little thickening of the plasma parts, that needed to be done to stop the printer making a convincing "plasma explosion" effect!! ▲ Size comparison group photo of the set contents. 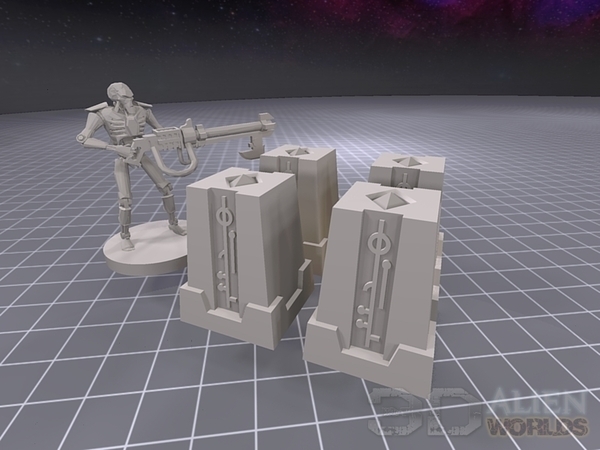 At the back we have the double-sided doorway next to Ned the Necron for scale, in the middle we have 4 energy stacks with a plasma crate on top and two renegeration sarchophagus units, and then at the front we long and short caskets, with another energy stack and plasma crate. 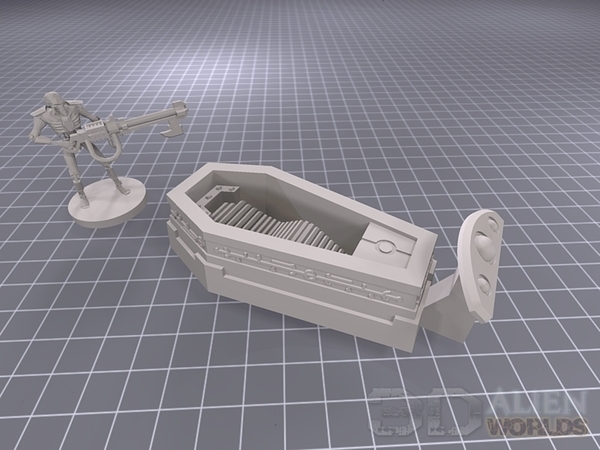 All of these can be printed well at 0.2mm layers, but if you have the time I recommend printing at 0.1mm layers to better show off the cartouche symbols and control panels. ▲ .... or in this 3-section version, if you want to glue the sarcophagus lid open. 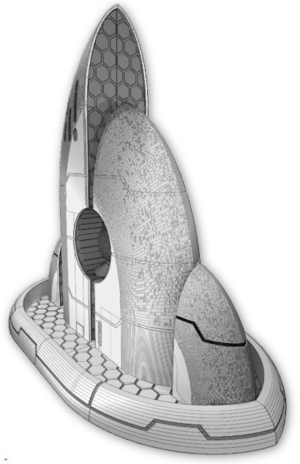 ▲ The interior of the sarcophagus is also detailed with mysterious widgets and comfy foam padding. Even evil ancient overlords need to relax sometimes, right? 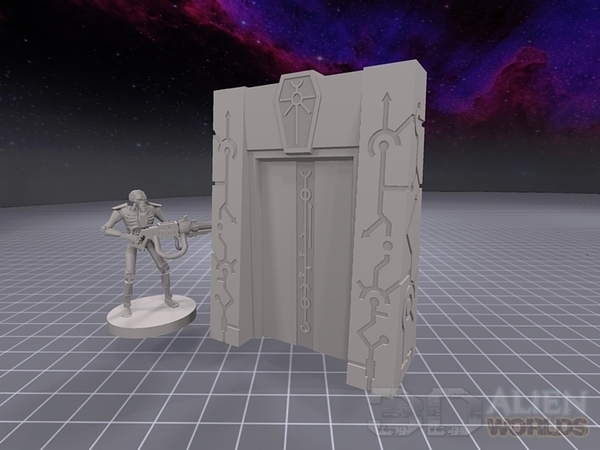 ▲ This is the double-sided doorway, reaching up 65mm to match the KillTeam: Arena imperial doorway version. ▲ These are substitutes for the oil barrels from the set, and are meant to be energy stacks. I'll be painting the crystals on top in glowing green, I think. 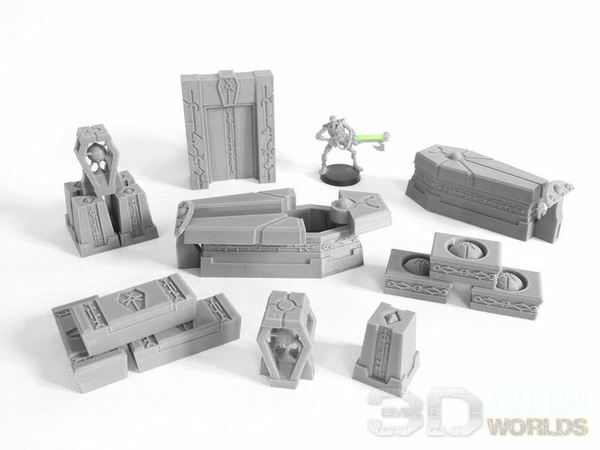 ▲ The short caskets match the crates from the imperial set, and have this mysterious orb in the centre. Not sure exactly what they'd be used for?! Storing your flayed skin collection, maybe? ▲ The long caskets are more traditional "boxes", with a lid of sorts. 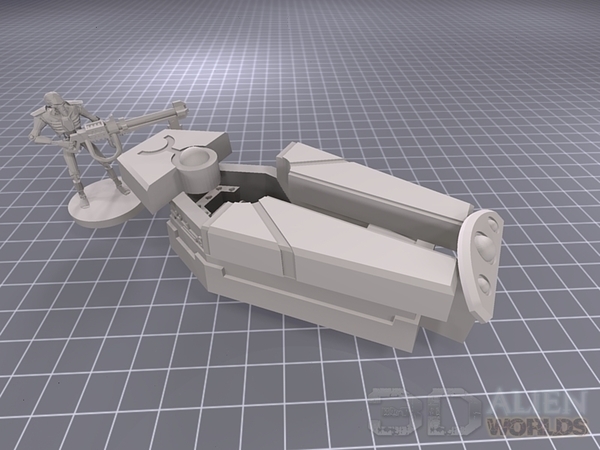 ▲ The final part of the set is this plasma crate, which matches the plasma 'battery' from the imperial set. This piece should ideally be printed (in two parts) in 0.1mm layers, to minimise any print lines on the plasma sphere in the centre. 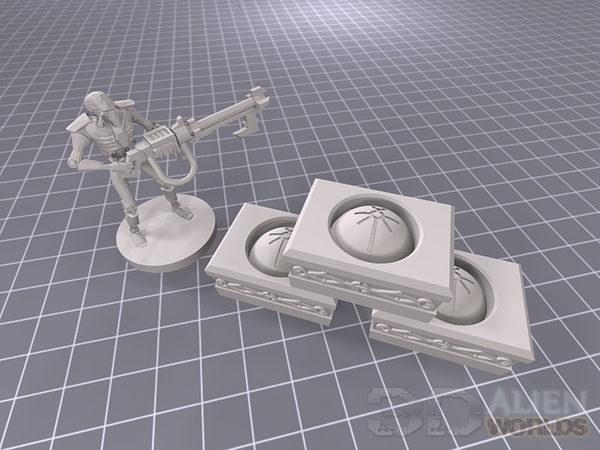 The wisps of plasma connecting the sphere to the sides of the crate also act as build-in print supports, ensuring a high-quality print! 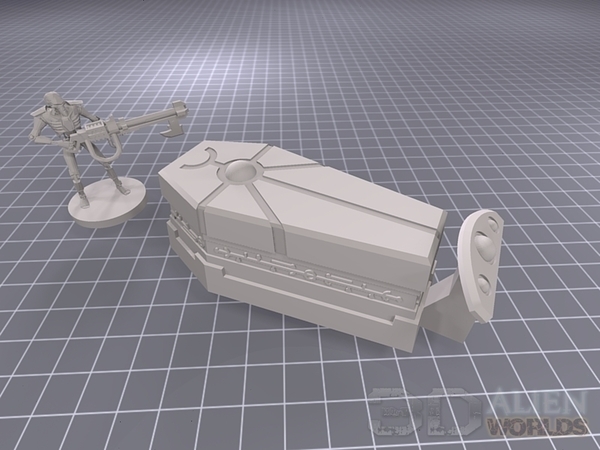 I'm really looking forward to painting up the plasma crate in bright green!! 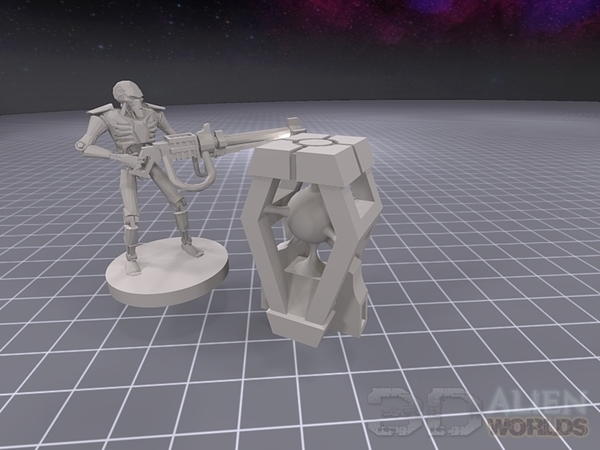 The set is available today for early download, and will be officially launched with fully-painted pics in a few days.